Our team includes leading pioneers in security innovation. With extensive leadership experience, security industry expertise, and technical depth, we’ve developed extraordinary synergy since launching the foundational Hdiv technology in 2008. Together we’ve created a community, collaborative culture, dedicated to bringing application self-protection solutions to widespread market acceptance and implementation. Our goal? Protect enterprises from application security threats and enjoy the journey along the way. 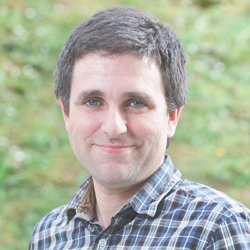 Roberto is an application security expert, and more particularly, a software architect. He has been involved in the IT and security industry for the past 16 years and has experience in software development, software architecture and application security within different sectors such as banking, government and energy. 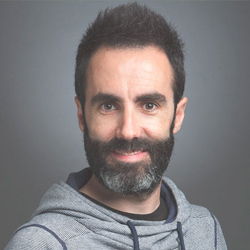 Prior to founding Hdiv Security, Roberto worked for 8 years as a software architect and co-founded ARIMA, a company specialized in software architecture. Previously to that he worked as Development Manager at the cybersecurity company S21sec. He regularly speaks at Software Architecture and cybersecurity conferences such as Spring I/O and APWG.eu. He holds a MSc in Computer Science and a Business and Entrepreneurship course from the University of Cambridge. Pedro is a member of the management board of Hdiv Security. He is a graduate of the Business Entrepreneurship Program of the University of Southern California School and he has a considerable background and experience in the IT and software security sector. He created his own IT security audit company in early 1993. After this experience he was hired by Panda Security as General Manager to create and grow Panda Security’s USA subsidiary. During his long tenure as V.P. of Product Management he designed and brought to market the vast majority of Panda Security products and he has participated in the definition and implementation of business policies in over 50 Panda offices worldwide. Pedro is also the founder of ZeroVulnerabilityLabs, a company created in 2011 specializing in vulnerability, exploit and security R&D. This company was acquired by Malwarebytes in 2012 where he is currently Vice President of Products & Research in San Francisco. Pedro has also collaborated on different investigations and operations against cybercrime, such as with the FBI and Guardia Civil in the takedown and arrests of the famous Mariposa botnet operators. 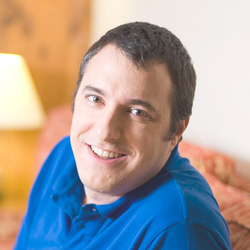 Jaume is a seasoned executive with over 20 years of experience in High Tech, based out of Bern, Switzerland. Evolving from technical positions at Microsoft in the late nineties to international managerial positions at HP with responsibilities across Europe, the Middle East and Africa. 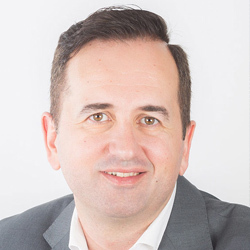 More recently he has held senior roles with successful start-ups such as AlienVault or Logtrust, running their international business. Currently, he serves as CRO at Hdiv Security. He holds an MSc in Telecommunications and an MBA from IESE Business School, plus a number of professional accreditations and postgraduate qualifications. 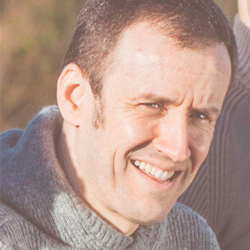 Gorka has over 15 years of experience in the analysis, design and development of information systems. He has collaborated with the open-source community (Struts 1, Struts 2, Spring MVC) for the integration of good security practices. He is co-founder at Hdiv Security and co-founder in 2008 of Hdiv.org - a free and open-source application security framework. He holds a MSc in Computer Science. Ander has over 15 years of experience in the analysis, design and coding of secure embedded real time and server side software solutions for high-load environments such as payment processing, electronic tolling collection, ticketing, parking or smart cities in international projects. Collaborator in different open source initiatives, leaded by OWASP (Benchmark and Dependency Check projects), Oracle (ScenicView), Spring (Spring HATEOAS) and others. He holds a MSc in Telecommunications Engineering.